LG has started the official stable Android 8.0 Oreo firmware update for many of its former flagship phones. The LG G6, LG V30, and the LG V30+ are some of the devices currently receiving Oreo OTA update. First Oreo OTA roll out started with the Korean and Canadian variants. Now, the global or European Open variant H870 is receiving Android 8.0 update. It comes with the firmware build number H87020A. You can either go to Settings > System updates > and check for any OTA update notifications. If nothing comes up, you can simply download the full stock KDZ firmware file and from below and flash it using the upgraded LGUP Flash Tool. 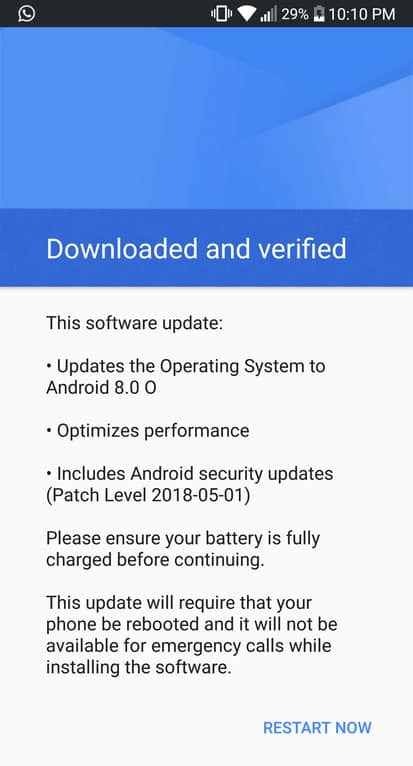 The new update features latest May 2018 Android Security Patch. It also consists of the new LG UX, several improvements to the system, battery life, camera, and performance. Other variants of LG G6 and G6+ such as H871 (AT&T), H872 (T-Mobile), H870K (Australia), LS993 (Sprint), US997 (U.S. Cellular), VS988 (Verizon Wireless) have also started receiving the Android 8.0 OTA update. The KDZ full stock firmware for the Lg G6 European Open variant is now available for download with build number H87020A Open EU OREO. We already have the Oreo for LG G6 Canadian and Korean variants listed before. For the international or European variants, see below. How to Install LG G6 H870 full stock KDZ firmware H87020A based on Oreo? If you want to keep your Lg G6 Android device rooted, then you can download and install LG G6 H870 TWRP flashable Oreo ROM. 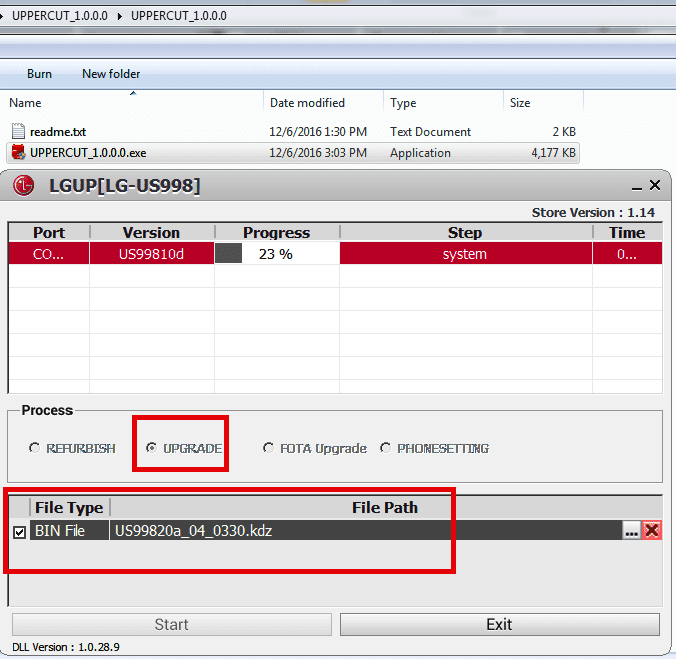 In order to restore LG G6 to complete Android 8.0 Oreo stock firmware update, then download and install the full KDZ stock firmware using LGUP Flash Tool and Uppercut. You can also update your LG G6 device using the LG Bridge software. Here is the download for LG Bridge.